This book is about a young girl – Tracy Whitney, who works for a renowned bank as a computer operator. Tracy’s life was looking all set and she was about to marry a wealthy guy until one fine morning when she receives the news of her mother committing suicide. And the next thing which happened was that she finds herself in prison framed by a mafia don. Tracy’s life turned upside down when her fiance refused to come to her rescue to protect family name and then she was sexually assaulted by fellow inmates. All these experiences strengthen Tracy’s determination to avenge herself on those who destroyed her life. In the prison a whole lot of drama unfolds when she was trying to escape but she managed to secure a pardon from governor after saving the warden’s daughter from drowning. Once outside the prison Tracy eliminated her enemies quickly and then was unable to secure a job because of her prison background. This forced Tracy to get into a different world and she became a Con. There she was very successful but was continuously challenged by another Con called Jeff Stevens. During all her adventures as a Con, Tracy was continuously followed by an evil genius investigator Daniel Cooper. When I started this book I was under the impression that the entire book will cover Tracy’s adventure in trying to avenge herself, but that was quickly over in few chapters the moment Tracy was released out of the prison. The rest of the book consists of Tracy’s life as a Con where she dupes the rich and ruthless of their prized possessions. 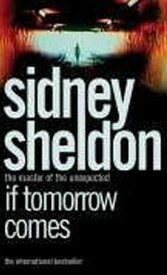 This is another page turner by Sidney Sheldon and the continuous flow of Tracy’s adventures doesn’t let you stop. This entry was posted in Book Reviews and tagged book-reviews, drama, fiction, thriller. Bookmark the permalink.